The committee stated that the army also carried out extensive and very violent searched of homes, causing serious damage, in addition to repeatedly breaking into the detainees’ rooms and searching them. It added that the detainees are facing serious violations, including being denied the right to medical treatment, visitation, and the right to education. Prisoners live in harsh conditions, held in solitary confinement, in small, cold, damp cells, with no covers. Detainees are subjected to high fines, torture, extended interrogation, many of them legislators, journalists, women, and children. Among the 6489 abducted Palestinians are 1063 children, 140 women (including children), 6 legislators and 38 journalists. Israeli military courts also issued the arbitrary Administrative Detention orders (without charges) against 988 detainees, including 389 new orders. The month that witnessed the largest numbers of abductions and detention of Palestinian is December, as the soldiers abducted 675 Palestinians, including dozens of children. All the abducted Palestinians faced at least one form of torture, humiliation, including in front of their families and others, the threat of violence against them and their loved ones. The army abducted the Palestinians from every part of occupied Palestine, while most of the abductions took place in the West Bank, as the soldiers took 4495 Palestinian prisoners (%69.3), including 1803 (%27.8) from occupied Jerusalem, and 191 (%2.9) from the Gaza Strip. Among the Palestinians who are still imprisoned by Israel are %87 from the West Bank, %8 from occupied Jerusalem, and %5 from the Gaza Strip. While many of the abducted Palestinians have been released, there are at least 6000 Palestinian currently held by Israel in 22 prisons, detention centers and interrogation facilities, among them are 23 Jordanian and Syrian nationals. The main prisons are Nafha, Ramon, Galboa’, Shatta, the Negev, Ofar, Majeddo, Hadarim, Ramla, Asqalan and Be’er as-Sabe’. Israel is still holding captive 250 children, including one girl, 54 women, eight legislators, 27 journalists, and 450 who are held under Administrative Detention. 48 of the detainees have been held for more than twenty years, including 27 who have been held since before the Oslo Agreement of 1994. There are 750 detainees who suffer from various diseases and medical conditions, among them are 200 who require urgent and special treatment, including surgeries, and 34 who have cancer and many who have chronic conditions. Since the year 1967, 217 Palestinians have died in Israeli prisons, including five who died in 2018, among them some who died hours or days after being detained. The five detainees, who died this year, are Yassin Saradeeh, Aziz ‘Oweisat, Mohammad Anbar, Mohammad Marshoud and Mohammad al-Khatib. 70 of the detainees suffer from physical, psychological conditions, and dozens were shot prior to their abduction, and many became disabled due to medical neglect and torture. The year 2018 has witnessed escalating violations against Palestinian women and girls, while Israel is still holding 54 of them captive, and facing medical neglect, in addition to difficult living conditions, and frequent assaults, especially after Israel moved them from HaSharon prison to Damon prison. The detainees have frequently protested the bad conditions, humiliation and violations, especially after Israel installed surveillance cameras in the small prison yards. In direct violation of various international laws and agreements, especially treaties regarding the rights of children, including the right to protection and the chance to life and development, Israel continues to hold 250 Palestinian children under very difficult conditions, and deprive most of them from family visits, education, physical and psychological treatment. The children are held in Ofar and Majeddo prisons, and have been subject to torture, high prison terms, extreme living conditions, and high fines, in addition to being treated like adults, without any regard to their age, or stage of development. 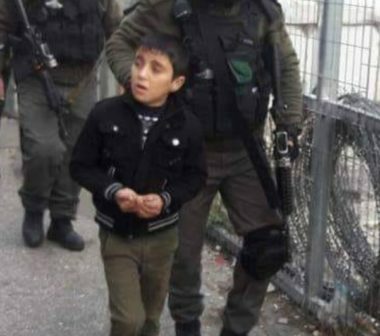 Israel also issued house arrest orders against 100 Palestinian children from occupied Jerusalem, after holding them captive for various periods, and subjecting them to torture during interrogation. The interrogations were carried out without any form of legal representation, or at least the presence of an adult family member. On February 15th, 2018, the administrative Palestinian detainees started boycotting Israel’s courts, especially since they have turned the illegal policy of administrative detention into a form of endless collective punishment against them, without charges or any certainty about the end of their imprisonment. This includes the repeated renewal of these orders for various periods of time, including 3 and six months, and in some cases the orders were renewed just moments before the scheduled release or as soon as the detainees stepped out of the prison gate. The detainees formed a committee that represents them, and their directives also instruct their lawyers and representatives not to attend the deliberations of appellate courts and the hearings meant for rendering judgment. Since they are arbitrarily held without charges, their stance is that they should either be released, or indicted. There are currently 450 detainees held under Administrative Detention orders, including several children and women, six legislators and many academics and social figures. The daily arrests and abductions of the Palestinians amidst very violent invasions and searches of homes and property, are serious violations of international and humanitarian laws, especially since Israel also targets the families, and demolishes many homes belonging to these families as part of the illegal collective punishment policies. The collective punishment includes the abduction and imprisonment of parents and other relatives of detainees, or of “wanted” Palestinians, and the demolition of homes, especially of those accused of killing or injuring Israeli soldiers, or colonialist settlers. This year witnessed repeated and escalating cases of hunger strikes among many detainees, including some who went on strike on their own, and were later joined by dozens of detainees as an act of solidarity. The main reason for hunger strikes is the illegal policies of Administrative Detention, medical neglect and extremely bad living conditions. At least 39 detainees individually held hunger strikes in 2018, rejecting their Administrative Detention and demanding their rights. 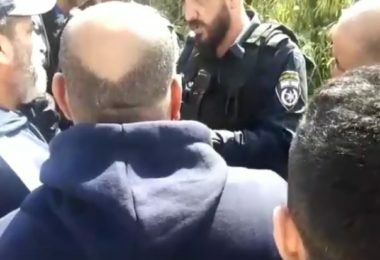 The year 2018 witnessed a number of “legislations” and draft legislations in the Israeli Knesset, targeting the detainees and their families. This includes draft legislations to expel the families of Palestinian detainees from occupied Jerusalem, accused or convicted of attacking Israeli soldiers and settlers, and the draft proposal to execute those detainees. One of the new laws is revoking the right to early release of the detainees, and the draft law for capital punishment against Palestinans. Israel also passed laws to reject being financially responsible for medical treatment for the detainees, in addition to explicitly permitting naked body searches without a proper cause, and the laws denying family visits of detainees “believed to be members of groups that are holding Israelis”, in addition to laws allowing Israel to continue holding the corpses of slain Palestinians, and not allowing the families to see, or bury them, as an act of collective punishment. This year, 2018, Israel escalated its violations against the journalist in occupied Palestine, and abducted more than 40 of them, in addition to dozens of violations against media outlets, media activists, and Palestinians who work at media agencies. The army also abducted 350 Palestinians, including women and children, after their social media posts, deemed to be “incitement” by the army, such as publishing pictures of Palestinians who were killed by the army, or for just “liking” social media posts by other persons. No such measures were ever taken against Israelis writing social media posts that include explicit incitement against the Palestinians, including calls for killing them and their mass exclusion and extended collective punishment. It is worth mentioning that the soldiers killed Palestinian Photojournalist Yasser Mortaja, and journalist Ahmad Abu Hussein, in the Gaza Strip, in addition to wounding dozens of journalists. The soldiers also killed three medics, identified as Razan Najjar, 22, Mousa Jaber Abu Hassanein, 36, and Abdullah al-Qutati, 20, in the Gaza Strip.